Spending time at the Jersey shore, as I have since I was a kid, always conjures up my parents and the things they talked about back then. For example, they remembered walking on the beach during the early days of World War II and seeing Coast Guardsmen on patrol amidst the debris of torpedoed ships. I think of those men often when I walk the beach, especially at night, when it’s easier to imagine the cold, loneliness, and boredom they endured as part of their contribution to the war effort. After Pearl Harbor, the U.S. Coast Guard continued its pre-war beach patrols – usually one man armed only with flares – to spot enemy submarines and watch for saboteurs who might be landing from those subs. All of that changed after June 13, 1942, when Seaman 2nd Class John C. Cullen was approached by a stranger on the beach near Amagansett, Long Island. The men and his companions were Nazi agents (an extremely incompetent group, fortunately) freshly landed from the German sub U-584. 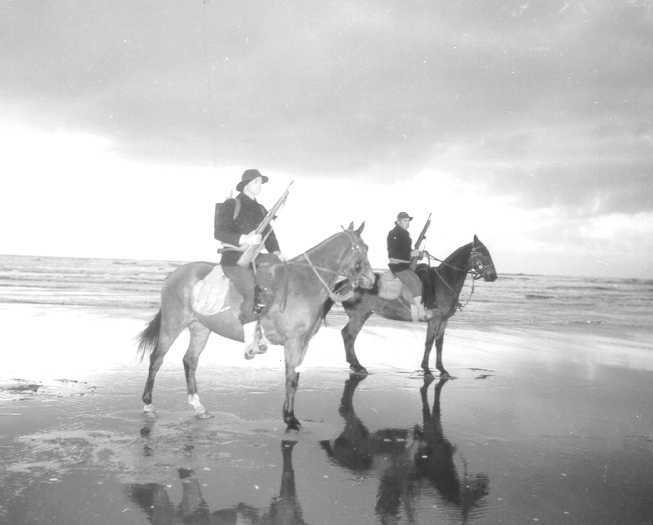 Their discovery and subsequent capture turned the Coast Guard beach patrol into an armed force that used men, dogs and horses (left) to patrol America’s shoreline for the balance of the war. 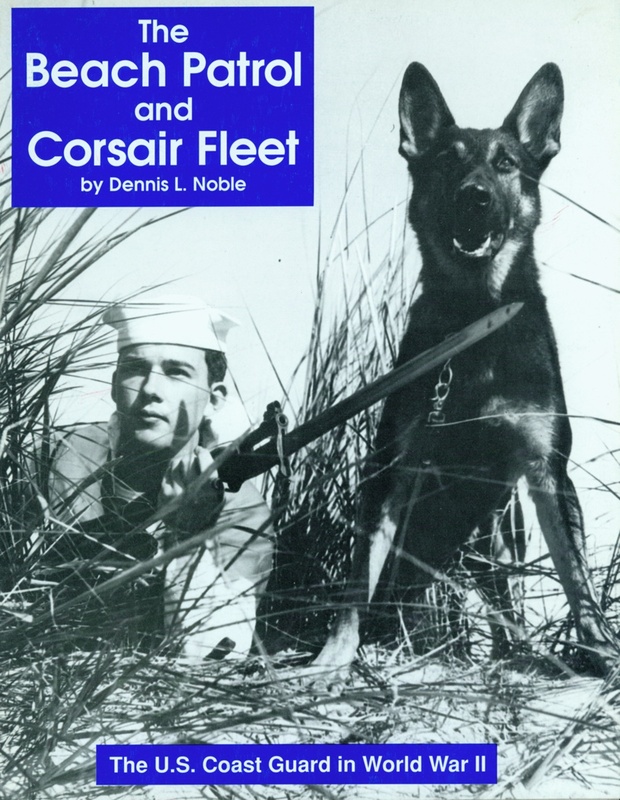 The Beach Patrol and Corsair Fleet, one of a number of booklets produced by the Coast Guard to commemorate the 50th anniversary of World War II, tells the little-known story of this aspect of the war. Although saboteurs never amounted to much of a problem, the patrol performed its most important service in its traditional role of lifesaving. A particularly dramatic rescue occurred off the coast of Washington State in 1943, when the Soviet freighter Lamut struck the rocky ground below a sheer cliff near Teahwhit Beach. Guardsmen hurled a makeshift heaving line from the cliff top to the freighter so the crewmen could ascend hand over hand, “Hanging between the black clouds above and the snarling, crashing breakers below…One slip on the wet line would have meant instant death.” Wow! The Corsair Fleet, complete with a Donald Duck logo (left), was a motley conglomeration of yachts and smaller craft offered to the U.S. Navy by the Cruising Club of America for emergency U-Boat spotting off the East Coast in the immediate aftermath of Pearl Harbor. The Navy refused the offer until an avalanche of bad publicity forced its hand and it gave the Coast Guard permission to organize the Coastal Picket Patrol, more commonly known as the Corsair Fleet. During much of 1942, these ships and their amateur crews patrolled in all kinds of weather and spotted a few U-Boats before being eliminated as an economy measure in 1943. Shades of Ernest Hemingway’s private submarine patrols off Key West! You can read this fascinating little booklet here or find it in a library here. This entry was posted on Monday, August 23rd, 2010 at 10:17 am and is filed under U.S. Coast Guard. You can follow any responses to this entry through the RSS 2.0 feed. You can leave a response, or trackback from your own site. Wonderful blog! I truly love how its easy on my eyes as well as the info are well written. I am wondering how I may be notified whenever a new post has been made. I have subscribed to your rss feed which need to do the trick! Have a nice day! This book should be good. I love the Jersey shore, such troubled history for somewhere so tranquil. this is one of tos semi funny stories that you kind of look back at and think to yourself “wow, i can’t believe that this is how it all really started.” But I agree with David that it is a shame that people don’t know enough about how the Coast Guard has served our families and our Nation. My hat is off to you guys! The U.S. Coast Guard has long operated with minimum resources but an ever expanding mission, doing so with a high degree of professionalism and dedication. Much of what the Coast Guard does, even today, goes on unknown and unnoticed by the general populace with its members serving throughout the world. I speak with pride as the 2nd of a 3 generation Coast Guard family. Ref War on the Beaches..Being a former security MP in the sixties I can relate to the difficult conditions that the Coast Guard and Navy personnel encountered. The next time I go the beach, I will thank these brave men for protecting our home front. Both of my parents were in the Navy in WWII; however, Dad passed away in 2007. 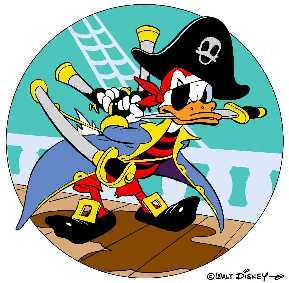 I wish he was here to see this as he would have had the memory of this fleet. He loved the Navy, went to his shop reunions, and was buried in his old uniform. Dad’s family has 9 generations back in NJ. He didn’t enlist until after this booklet’s time period so he may have known or had seen some of these pictures, etc. I will pass this on to Mom, although she was from Chicago and stationed in Idaho then,as she still would have heard about this. Mom did tell me about all the black outs-especially down the shore due to the German subs. Nice little review of an interesting title–makes me want to read it. Problem is this title was a fugitive from the depository program back in 1992. Since it is now available full-text on the Coast Guard website, will it be brought into the program as an electronic-format document? Better still, as a reprint available for sale from GPO? Those are good questions! I have forwarded the information to one of my colleagues on the library side of the house. She will review with a view to cataloging it and providing a link. I will also talk to the sales side about the possibility of making this available. If that happens, I’ll let everyone know via this blog.